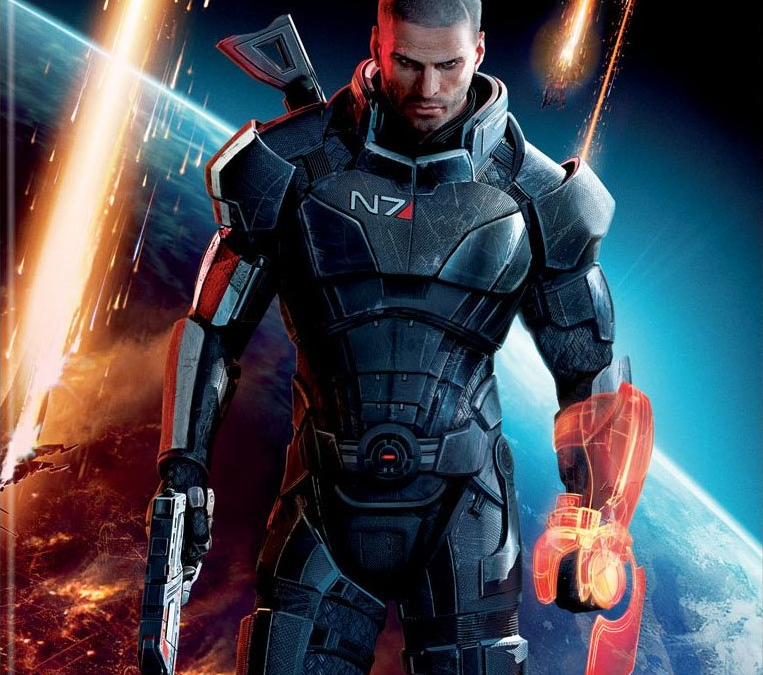 Mass Effect 3 Ending: Genius, Total Failure or Somewhere in Between? If you’ve played Mass Effect 3, you know the ending has generated a lot of controversy. No matter where you stand on the ending, one thing is for sure, Mass Effect marks the beginning of games as an art form. How do I know? Anything that sparks intense and passionate debate is art, pure and simple. That’s an achievement, even if the ending is an utter failure. But is the ending an utter failure? Let’s take a look and see for ourselves. Warning: Spoilers ahead. If you haven’t finished the game, then don’t read on. Games like Mass Effect and Elder Scrolls: Skyrim mark the beginning of a shift in the history of games. At one point every new story-telling medium is considered “for children” or “simple entertainment.” Movies were once considered nothing but popcorn for the brain but just as movies like Citizen Kane changed film into art, Mass Effect is the definitive beginning of games as a new art form. You know a medium has transcended its humble beginnings when you can tell stories in a way that can’t be told in any other medium. For instance, movies have a visual and dreamlike quality that no other story form can match. Now video games have their own unique story telling strengths. Novels and film will never give people the illusion of choice like games do. And since choice is one of the essential qualities of living, it’s a powerful strength game writers have just begun exploring. Roger Ebert, a critic who I always liked, once wrote an asinine post that games could never be considered art. He is absolutely and totally wrong. He says “no one in or out of the field has ever been able to cite a game worthy of comparison with the great poets, filmmakers, novelists and poets.” Wrong. Mass Effect stands up there with the best alien invasion stories I have every enjoyed, including Pandora’s Star, my current favorite, and War of the Worlds. In many ways, it’s better. Read War of the Worlds now and you’ll cringe at the narrative intrusions and the massive info dumps. The book is filled with telling instead of showing, considered a huge mistake in modern story telling. So there you go, Roger. Of course, Roger is a master of an older medium and stuck between the old ways and the new world. He can’t adjust and he is absolutely wrong. Games are art. And this debate about the series ending is proof. People are talking about it like they talked about the end of 2001: A Space Odyssey or Inception. Where games reach the level of art is in the way they give choice to the gamer in a way that no other medium can. When I choose to save the Geth or Quarians, I am not watching passively, I am making that hard decision. That decision will reflect my deepest values in a way film never will, since the filmmaker makes the choices for me. So let’s take a look at the controversy. I’ve played the game for years and I’m heavily invested in the mythology and my choices. When the original Mass Effect came out I was a younger man and I spent an entire week in my underwear playing it obsessively until all hours of the night, fascinated by the huge sweep of the story. I’ve carried my save choices over between each game and Mass Effect 1 is still the best game I have every played, even next to Skyrim, though that debate is a bit like trying to figure out whether Godfather I or II is better. Even so, the earlier game’s choices never felt quite as significant as they do in Mass Effect 3. There was always a “right” way to play. If you just did this or that, you could save all the characters in Mass Effect 2 or save Wrex in Mass Effect 1. In the third installment, it’s unlikely that you’ll be able to save everyone. People you love will die. Mordin died because I could not deceive the Krogan. If I had deceived them, Wrex would have confronted me and I would have had to kill him, despite saving him in the first game. These choices matter. And like any good art, the choices hurt. They’re painful, just like they should be for characters in books and films. The choices go on and on. I saved the Rachni Queen in the first game, but let her die the third, because I couldn’t loose Grunt. I let the Geth die, even though I really wanted them to achieve free will. Legion was one of my favorite characters. Yet I just couldn’t loose Tali to suicide, so I let the Geth die. When Legion asks “does this unit have a soul?” as he is dying and Tali says “yes, it does,” as she kills him, it’s one of the most touching moments in recent story telling memory. That’s art. Roger Ebert, you have no idea what you are talking about but then again you never played this game. Of course, one part of the story in Mass Effect 3 doesn’t live up to the rest and that’s the ending. When I first finished the game, at 5 in the morning, I was so tired, I didn’t even know I had a final choice and so I just dove into the light, triggering the Synthesis Ending. I was disappointed with the little Eden cut scene that completed the game. The next morning I started Googling around. I found a very interesting post called “Did We All Miss the Point of the Mass Effect 3 Ending?” Watch the video. It’s incredibly well done, synthesizing dialogue and voices from the first two games and overlaying them on the third game’s ending. And it’s compelling. I went back and choose the destruction ending after watching it. But as I thought about it more, cracks began to appear in the Indoctrination Theory. The video makes the case that the final moments are a dream sequence that are really an indoctrination test. The Reapers are attempting to indoctrinate Shepard and manipulate him to make the choice they want him to make. The video notes critical things like the fact that your gun has infinite ammo, or that there was no way Anderson could have made it to the Citadel or that when you are forced to shoot Anderson, you have blood in the same spot you shot him, proving he is just a figment in your mind. Watch the video. You will buy into its logic, because it is so well done. But if you look closely, the theory starts to fall apart. The first thing to note is that no matter what ending you choose, the ending is actually the same. In every one the Reapers and the Mass Relays are destroyed and someone on the Normandy ends up on a distance Eden like planet. In the Synthesis Ending all organics are merged with synthetics and the Reapers die and Shepard becomes one with the light and disappears. In the Control Ending, where Shepard attempts to control the Reapers, they all leave under his command and Shepard merges with the light. In the Destruction Ending, the Reapers die and Shepard wakes up on a battlefield wasteland. No matter what, the Reapers are destroyed, which can’t be something the Reapers would have pushed Shepard towards. A truly different ending would include the Reapers winning and harvesting all of mankind and wiping us out, the cycle continuing. But in every choice Shepard “wins” and the cycle ends. You know the cycle ends because the Mass Relays are destroyed. The relays have always been part of the Reapers hold over organics. The citadel and the relays force organics to develop along the predetermined pathways the Reapers choose for us, as Sovereign points out in the first game. More cracks appear if you look closer. For instance, the Synthesis Ending seemed more beautiful and hopeful to me. It showed Joker and Edi, man and machine, stepping off the Normandy and embracing, suggesting that there might be hope for organic/machine relations after all and that the Reapers were wrong, that machines need not always wipe out their masters. In the Destruction Ending, EDI is destroyed with the Reapers, a less hopeful ending that throws the baby out with the bath water. Also, if you do allow the Geth to win earlier, it also disproves the Reapers theory. Legion sacrifices himself to upload the Reaper code and gives freewill to the machines. Most of them choose to help Shepard, again proving man and machine can work together and it is the Quarians who are vicious and don’t understand their creations. They choose to keep their creations as slaves and sought to kill them off because they wouldn’t obey. Unfortunately, those cracks turn into fissures, if you look even deeper. The worst problem with the ending is that several of the characters that were with you on Earth, in the final battle to take the Citadel, namely Liara and EDI, are somehow magically on the Normandy when it crashes on some distant world. Also, if the sequence is a dream and Shepard is really asleep on the battlefield, near death, why does his choice actually fire the Mass Relay and determine the outcome? The second problem might be explained away, in that Shepard might really have been on the Citadel, but locked in an intense hallucination. But there is simply no explaining the characters teleporting to the ship. It’s a screw up plain and simple. In the end, I have to conclude that the ending is just a big time fumble. The Indoctrination Theory is beautifully done, but it can’t explain away the fact that all the endings are really pretty much the same and it can’t explain teleporting characters. I recently took John Truby’s master story telling class in LA. One of the funniest moment in the class was when he talked about “big mystical endings.” He said, whenever the authors don’t know how to resolve the story with real world heft, they just send the character into a bath of white light. I’m afraid that’s pretty much what happened here. It also made the choices of the game moot. Like the ending of the third Matrix movie, you realize that everything Neo and Shepard did was pointless, because it was all preordained. Terrible. It’s a shame because all my other choices in the game mattered so much. It’s just the last one that didn’t mean anything at all. Thanks for reading Marc. You make good points. My thought is that they shouldn’t leave though. If Shepard is indoctrinated at that point, shouldn’t Reapers stay and wipe us all out? That’s what they’ve done before. Instead they join with us and then take off. It still seems that no matter what you choose the Reapers leave, which makes me think the endings are really just the same with a different coat of paint. All thoughts are welcome! The entire end sequence is in Shepard’s mind. The mass relays exploding, the Normandy crash landing; none of these events happened, they are Shepard’s imagination. The ending is genius because the game makers don’t tell you that this is a dream sequence. They don’t tell you that your soul is on the line. This is the Shepard’s final battle. If you were told you would make the obvious decision. But at this point you ARE Shepard. This is YOUR choice. You have been with Shepard the entire journey. You have seen friends die, you have made hard choices, the weight of the galaxy is on your shoulders. This is your mind fighting indoctrination. This is the climax of the whole series. This is the battle for your soul. Nothing else matters at this point. The boy is there to break down you will. Throughout the series two main characters have been indoctrinated. Saren and the Illusive Man. Saren was indoctrinated by believing the Reaper’s offered synthesis. The Illusive Man was indoctrinated by believing he could control the Reaper’s and ensure human dominance. I agree its all in his mind. My primary issue is the inaccuracies with this vision. Why are all the endings virtually identical, no matter what you choose? Why are characters who were on Earth with you magically on another planet? All of that is in his mind too? If so, it’s not nearly as convincing. I like the concept of Indoctrination, but clearly there is something wrong. If they got it perfect, they would have told everyone to just deal with it. Instead they are releasing new endings. Why? Because they know they screwed up. No other reason. They already have everyone’s money, they don’t need to change anything. This is not a movie where they are running it through a test audience. They already sold the game. I hope they do not alter the ending. It would be like altering Star Wars to make Greedo shoot first. I believe all the end sequences are Shepard’s imagination. He imagines his friends escaping the destruction of the Crucible. And not only escaping but landing on a beautiful planet. And in the case of synthesis, an almost Adam and Eve type beginning. The imaginations are similiar because it’s what Shepard is “wishing” so to speak; an end to the Reaper threat and for his friends to survive. In reality he might be slowing bleeding to death down on Earth, close to the beam. At this point I believe your own bias comes in. Shepard has saved his soul but are the Reapers destined to win? On my first play through I thought it was all real. I didn’t get it. It wasn’t until I finished my 2nd play through that the ending just didn’t feel right. I still didn’t get it, but it wasn’t right. The first thing space boy says to you is “wake up”. Space boy? He controls the Reapers? What? Who? What is this entity? When did we go from insidious, monstrous Reapers who are beyond our comprehension to “problem solvers” for some benevolent 3rd party? Why does it need Shepard again? Why is it trusting in some insignifciant organic (out of the trillions it has destroyed) to decide its fate? Like you said in the article, games have the ability give us an experience (through choice) that movies and books can not. If the game told you, “Ok, now here comes the part where Shepard’s mind has an internal battle with indoctrination” you would respond “Ok, this is kinda cool but I know what to do”. Instead the game does what no movie or book can do, it gets inside your head and you have to make a real decision. It’s incredible really. Ebert can indeed go to hell. All that being said. I’ll feel pretty silly if the DLC proves me wrong. I believe the extended cut DLC will further explain to players what happened post final choice. I believe that the developers realized the indocrination went right over people’s heads and so they are going to further explain what happened with Shepard. I believe it is genius, and infide is right. If you were Shepard you wouldn’t know you were being indoctrinated, so why as a gamer should you know. It would ruin everything. The ending has a bigger weight because than i could have imagined, and it is indeed genius. But they need to explain post choice what happened, which is what i believe they are going to do. The problem I just keep coming back to is the so called “good ending” where at the very end Commander Shepard wakes up with a cough in the rubble. That is the biggest problem with the genius theory. What do I mean? The ending is only genius i Commander Shepard is hallucinating, not if he is actually knocked out on the floor. Why? Because if he is hallucinating, but still moving around and taking action, then he is seeing an altered reality but still fulfilling the basic role of protagonist in stories, which is to take out the bad guy. This is story 101. The good guy takes out the bad guy in the final battle. If the bad guy is causing him to hallucinate, but he still wins, then it’s awesome. However, if he is actually ASLEEP for the final battle, this is a horrible failure. That means that he is completely unaware and DOING NOTHING DURING THE FINAL battle. In other words, it means he didn’t take out the bad guy. It means I spent years waiting for fulfillment, only to fall asleep at my post. If I did fall asleep, who took out the Reapers? What really happened? I have no idea, because it was all in my mind. That’s not genius, that is a total and complete failure. But hopefully the DLC will prove us all right or wrong. Frankly, I am still unsure. I can’t take one side or the other, because so much of the ending was contradictory, that it is really hard to say for sure that the ending sucked or rocked. Keep the replies coming people. They are great! I love a good debate.